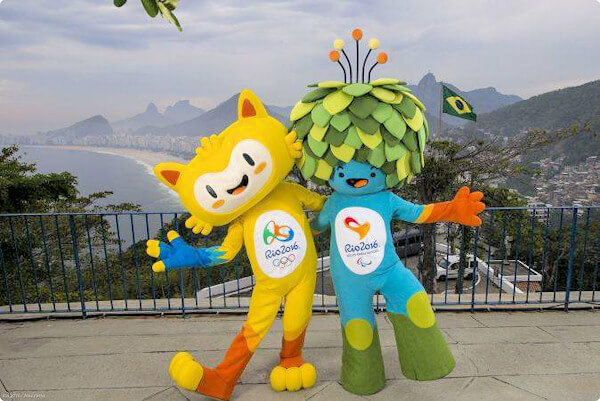 The organisers of the Rio 2016 Olympic Games and Paralympic Games have unveiled the official Olympic and Paralympic Mascots - Vinicius and Tom. The names were chosen by a public vote. A total of 323,327 votes were cast. The names pay tribute to Brazilian musicians Vinicius de Moraes and Tom Jobim. They were part of the group that created Bossa Nova, the musical movement that got the whole world singing about the beauty of Rio de Janeiro. Together, De Moraes and Jobim wrote The Girl from Ipanema, one of the most-played songs of all time. 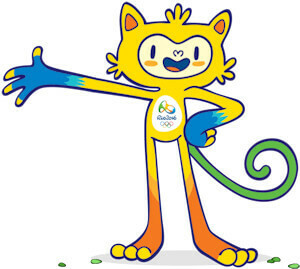 I am Vinicius, the official 2016 Olympic Games mascot, a mixture of all the Brazilian animals. 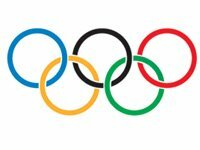 I was born out of the explosion of joy that happened when they announced that Rio would host the Olympic Games on 2 October 2009. Although I was born on 2 October 2009, my age is not counted like yours, so nobody knows exactly what it is. But I live my life playing, jumping, running and smiling, just like all the kids. I can stretch and stretch and stretch myself, as much as I want. And since I’m a mixture of Brazilian animals, I can do all the best things they can do: I can run faster, jump higher and be stronger. I can also imitate the voice of any animal – I’m super-communicative! I play all Olympic sports. And I always hang out around the city! My favorite pastime is making new friends, that’s why I’m always connected. I love meeting people from all over the world. My best friend of all is the Rio 2016 Paralympic Games mascot. I live in a tree-house, in the Tijuca Forest, which has become a meeting place for the gang. From my home, we can see the whole city and plan animal adventures. My mission is to spread joy throughout the world and celebrate the friendship that flourishes between people from all over the world at this super sports event. 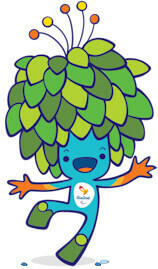 The Rio 2016 Olympic Games mascot was born out of the great explosion of joy that erupted when Rio de Janeiro was awarded the Olympic Games on 2 October 2009. From this great energy, a magical being was created. A mixture of different Brazilian animals, blessed with their many qualities. The agility of the cats, the sway of the monkees, the grace of the birds. With his keen sense of smell, he can sniff out exciting adventures and discover the clues to solve great mysteries. His incredible hearing allows him to find the most enthusiatic fans. He can imitate the voice of any animal, increasing his powers of communication. The Rio 2016 Olympic Games mascot is a true blend of Brazilian fauna. He lives in a tree house in the Tijuca Forest and has friends all over the world. Rio de Janeiro is his favourite playground but he also adores the cold of the south, the beaches of the north east, the diversity of the amazon rainforest, the riches of the interior and the bustle of the major cities. He loves Brazil with its mixture of colours, people, accents, climates and habits - after all, he is Brazilian. Happy and communicative, he is hyper connected. His mission is to fill the world with our happiness and celebrate friendship through sport. When he has time, he climbs into his treehouse to share his news on social networks, but when he wants to call his friends, he jumps on the roof and whistles so loud that it echoes around the mountains and buildings of Rio. His most amazing power is the ability to stretch his arms and legs as much as he likes. This means he can jump higher, run faster, and be stronger than ever. He can rest his head on Sugarloaf Mountain, with his feet in Maracana stadium and his hands on Corcovado mountain - all at the same time. But, he only ever uses his powers for good, to help the needy, or to make adventures more exciting. If someone suggests that he uses his powers to win a sporting competition, he gets really angry. He knows that competing on equal terms is much cooler. He is active all day long. As well as playing all the Olympic sports, he loves surfing, slackline, standup paddle and kite surfing. A karoaka at heart, he is passionate about Brazilian music, full of sway, easy going, super friendly and lives life to the full in the exuberant city of Rio de Janeiro. He loves to make friends and will receive visitors for the Games with arms wide open and fully stretched. He can hug everyone at once. As a genuine ambassador of the 2016 Olympic Games, he is crazy about sports. He loves to watch competitions and cheer with the fans. When it comes to celebrating, he doesn't hold back. He rides the wave of the fans like a surfer. His best friend is the 2016 Paralympic Games mascot. Together they will live a thousand adventures and win over Brazil and the world. 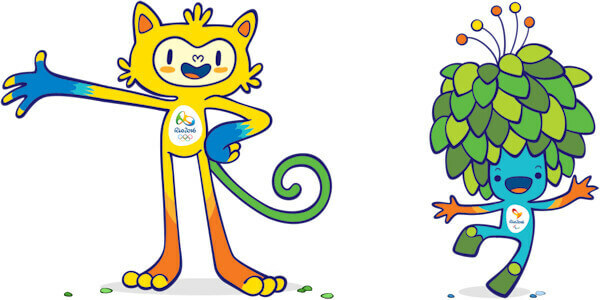 I'm Tom, the official 2016 Paralympic Games mascot, a magical creature, a fusion of all the plants in the Brazilian forests. I was born out of the explosion of happiness when we found out that the Paralympic Games were coming to Rio, on 2 October 2009. I was born on 2 October 2009, but my age is not counted like yours, so there’s no way of knowing it exactly. All I know is that there’s nothing better than playing, making friends and relaxing in the forest. What is my special power? I use my head. I really do! To get myself out of any jam, I pull the craziest objects out of my head of leaves. After all, I know all the secrets of nature and I understand that with creativity, intelligence and determination, we can achieve whatever we want. 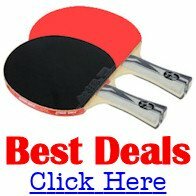 I play all Paralympic sports. And I make the most of living in Rio by playing a lot and adventuring outdoors! When I’m not running around, I like to open a book and learn about the world. I also love samba and all kinds of Brazilian music. I enjoy making friends and sharing what I know. My best friend is the Rio 2016 Olympic Games mascot. Around and about, mixed in with nature. I take naps on a water lily in the middle of a refreshing lake. This way, I can make the most of photosynthesis – sun bathing for me is like a banquet. To inspire everybody to use creativity and determination to always reach further and have fun. So what have people been saying? "The names of Vinicius and Tom are recognised worldwide as a synonym for excellence, which is in line with what we want to achieve with the Rio 2016 Games. In addition to representing the Brazilian fauna and flora, our mascots also connect to the best of our music. We are certain that they will be an inspiration to the youth." "The choice of the names Vinicius and Tom adds even more 'Brazilianness' to our mascots, which are ambassadors of the Games. Their role is to share the messages of the event and the values of the Olympic and Paralympic movements with various audiences, especially children and youth."